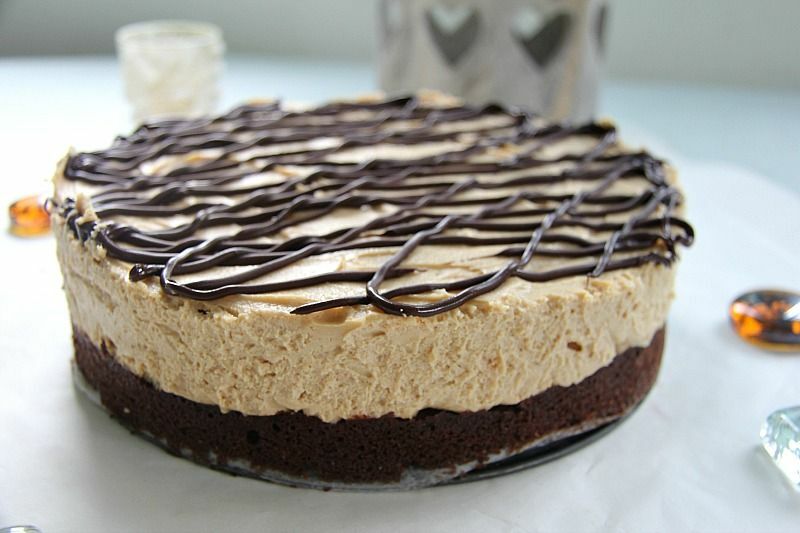 Behold my peanut butter cheesecake with a chocolate brownie recipe. A winning combination of both cheesecake and brownie. 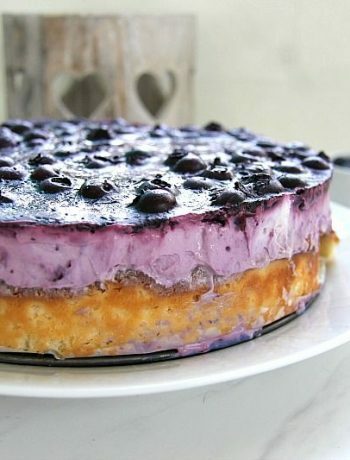 When baking a low carb and gluten free cheesecake you need to find a delicious alternative to the crushed biscuits that are used in the unhealthier versions. I often used ground nuts for a crunch crumb base but had been thinking about using a brownie for a base. Since peanut butter goes so well with chocolate it seemed the obvious choice for the cheesecake topping. 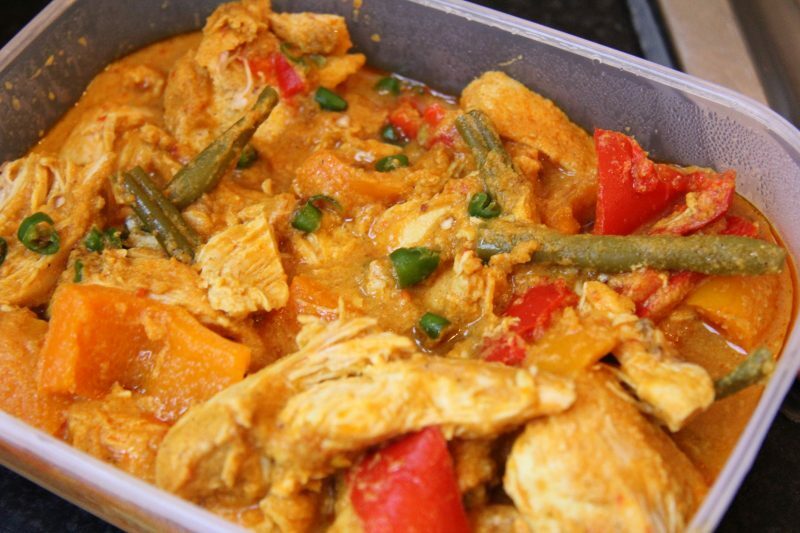 Before I reach for the mixing bowls and switch the oven on, I have an image in my mind how I want the recipe to work out. This was one of those recipes that did not disappoint and made me grin as I held it lovingly in my hands. 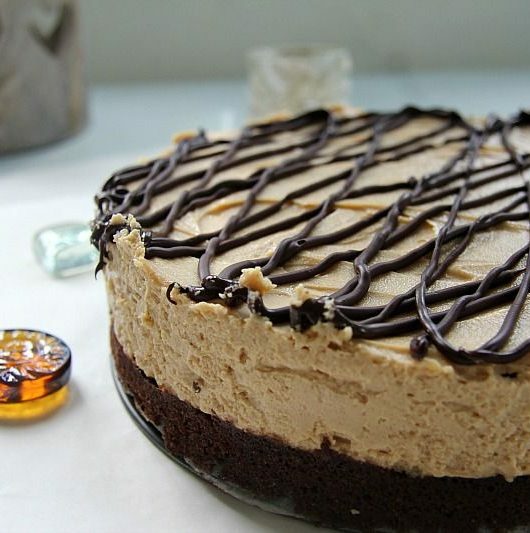 The peanut butter brownie cheesecake is a no bake cheesecake so you need to be patient. I left the cheesecake in the fridge overnight, then decorated it with some melted chocolate as I waved it under the Chief Taster’s nose for admiration. 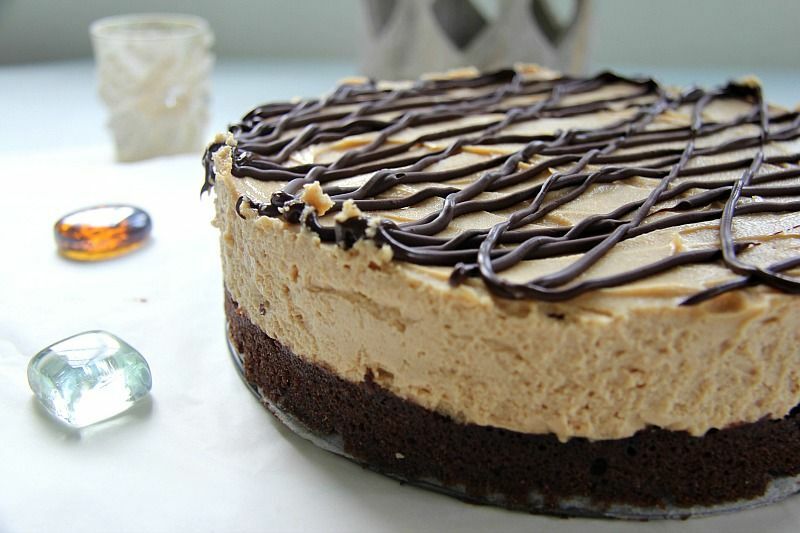 This peanut butter cheesecake with a brownie crust has gone right into the top 3 cheesecake recipes in our house. The Chief Taster will always complain if the base is not thick enough on a cheesecake. By using a brownie base, these moans were melted away. 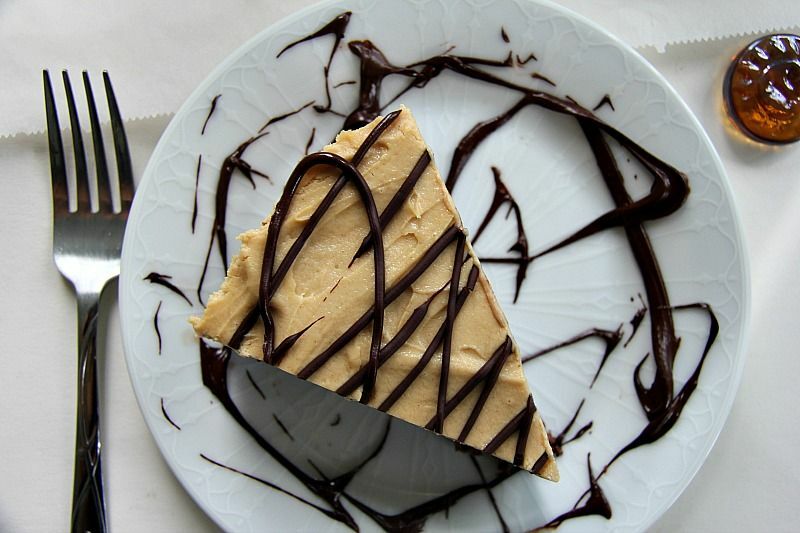 I had plans of cutting this peanut butter cheesecake into slices and freezing it, as I thought it would be too much for us to eat over a couple of days. Who was I kidding? I forgot that cheesecake makes a delicious weekend breakfast and did not account for the Chief Taster bearing down upon the cheesecake with a fork in his hand and a glint in his eye. Is eating with intent an offence? My cheesecake would like to press charges. 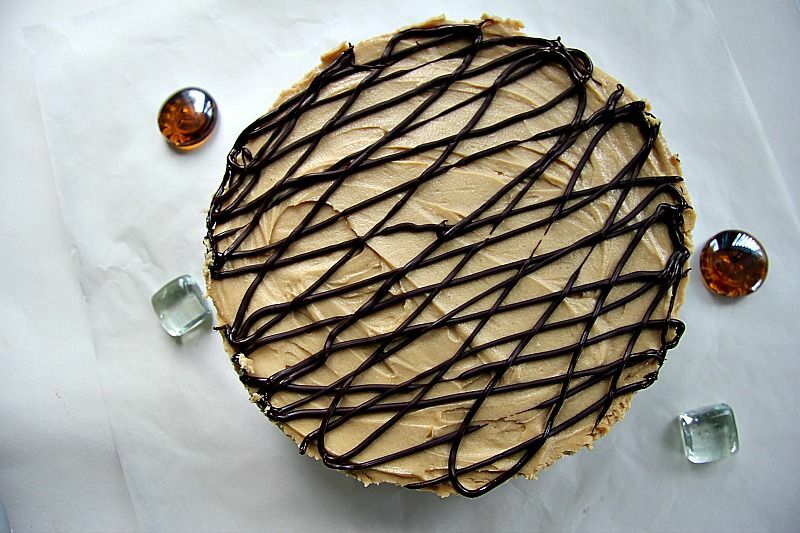 Although I normally estimate a cheesecake to be 8 slices, this will definitely be a 10-slice cheesecake due to the peanut butter cheesecake being fairly rich. A small slice will be enough to delight your taste buds with the coconut flour chocolate brownie base being filling and satisfying. Brownie and cheesecake are a winning combination and will definitely appear in another recipe later this year. Beat the eggs and erythritol in a bowl until blended and light in colour. Add the remaining ingredients and whisk until the mixture is smooth and is an even chocolate colour. In a bowl, beat the cream cheese and erythritol together until the cream cheese is smooth. Add the peanut butter and blend until the peanut butter colour is smooth and even throughout. In another bowl, whip the cream until stiff. Fold the cream into the peanut butter mixture. Spoon on top of the brownie base then place in the fridge for at least 5 hours or overnight to set. 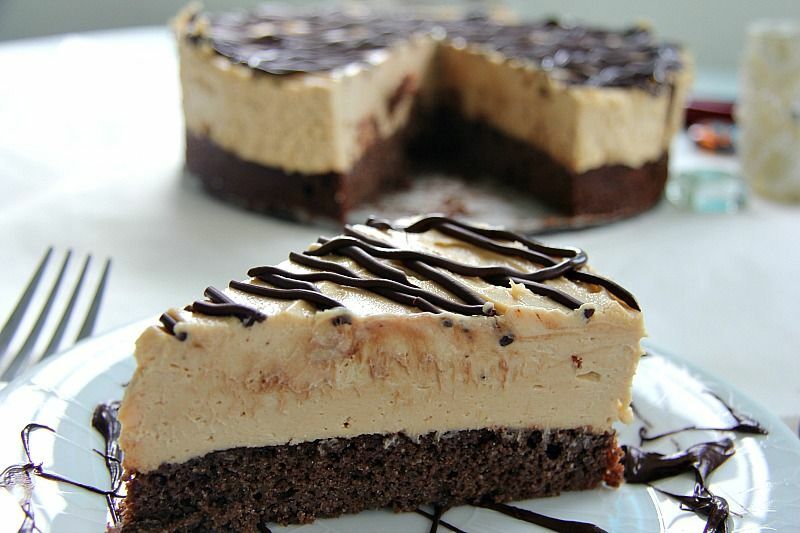 I, we, absoutely love your chocolate brownie cheesecake!!! Do you hace a carb and calorie count for your squar pan size? Do you know how many this would make in cupcakes tins and the amount time to cook the brownies like that? Hi, yes you could but you would need to adjust the quantities. Sounds absolutely amazing! Question: step 2 says to beat the eggs and erythritol, then step 3 says to add the eggs. Which is correct? opps! The second instruction should be the butter! Have corrected this now – thanks!